BATH, NHâ€”Lackie Farm, a unique riverfront property, will be protected forever from future development. The purchase of a conservation easement by the Upper Valley Land Trust (UVLT) on the 171 acre parcel was made possible through the support of the New Hampshire Charitable Foundationâ€™s Mitigation and Enhancement Fund, with further assistance from the Town of Bath. 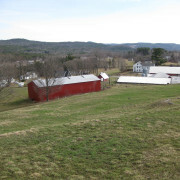 Situated near the confluence of the Ammonoosuc and Connecticut Rivers, the Lackie Farm lies just north of the downtown area of Woodsville. 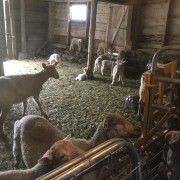 The farm supported a dairy until 1996; currently, Steve Lackie makes hay, which he sells to local farmers, with grass grown on the important agriculture soils along the river. The land includes two islands with floodplain forests in the Connecticut River which â€œafford excellent stopover habitat and some nesting habitat for migratory songbirds,â€ according to Barry Parrish, Refuge Manager of the Silvio O. Conte National Fish and Wildlife Refuge. The forested hillside rises from the farmland along Route 135 to a peak approximately 1,216 feet in elevation and is visible for miles around. The protection of the Lackie Farm preserves scenic views along the Connecticut River National Scenic Byway and of Woodsville from â€œThe Lookout,â€ a ridgetop clearing that the Lackies have kept open to the public. Steve Lackie says that the moderate hike up to â€œThe Lookoutâ€ is well worth it for the view. The propertyâ€™s significant river frontage (over 1 mile), includes unique islands, ledges, wetland areas, and seasonal streams within a stretch of the Connecticut River referred to as â€œThe Narrows.â€ This is a popular location for fishermen and includes important habitat for wildlife. 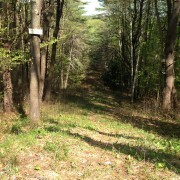 Conservation of the wooded slopes prevents development that could degrade unique wildlife habitat in an ecologically important region of the Connecticut River watershed. 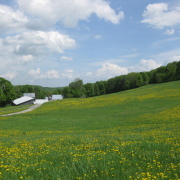 The permanent conservation of community-defining landscapes with historic and cultural significance as found in the Lackie Farm is a valuable accomplishment that will ensure the lasting legacy of the regionâ€™s traditional agricultural way of life, and will permanently protect scenic resources that have long inspired people in the Bath area. Farmshares: A Sign that Spring is Coming! Award Winning Richardson Farm is Conserved!